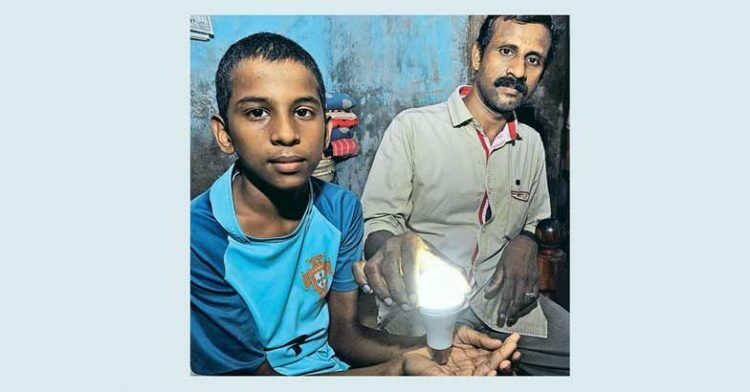 Abu Thahir, who hails from Muhamma near Alappuzha, Kerala, discovered his unusual power only recently while returning home with his father after buying a rechargeable LED light bulb. His father, Nizar, who happens to be an electrician, told reporters that when he passed the light-bulb to his son, it just lit up in his hand. At first, he thought it was some sort of prank, but then he noticed that the bulb lit up whenever the electrical contacts on its bottom touched any part of his son’s body. Thahir’s aunt was so impressed by his “trick” that she filmed him lighting up the light bulb with her smartphone and shared it on social media. It quickly went viral and the family started receiving calls from reporters wanting to interview and film the boy. However, he apparently doesn’t care much for fame, and is reportedly a bit embarrassed about his celebrity status on Indian social media, which explains why there is currently no high-quality footage of him lighting up light bulbs. Some sources speculate that another reason for the scarcity of video proof of Abu Thahir’s power is that it may be fake. None of the photos and videos I’ve seen show the boy’s entire body, so it is technically possible that low electrical current is made to enter his body and he only acts as a conductor. Other people are saying that the light-bulb itself could have been tampered with, that his electrician father may have installed a small battery inside it. However, expert Joshy K Kuriakose told Manorama Online that the unusual phenomenon could also be caused by the high salt content in his body. “If you connect the two leads of the rechargeable bulb with a wire, it will light up. Thahir’s body it will light up. Thahir’s body is conducting electricity like a wire,” the expert added. 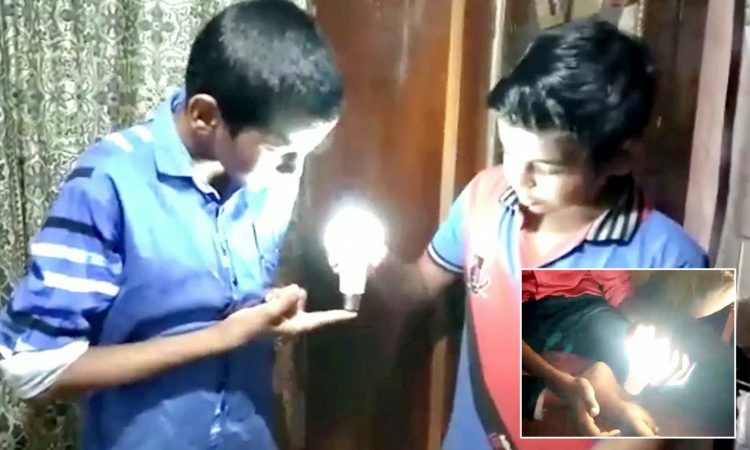 Interestingly, 9-year-old Abu Thahir cannot light up any light bulb, only rechargeable LED bulbs. If he presses the two contacts on the bottom long enough, his whole body will allegedly begin to heat up. Nazir is really proud of his son’s power, calling it a gift from God. As for Thahir, he doesn’t mind being able to power up light bulbs, but he doesn’t like the fame that comes with his unusual ability. He is currently lying low, preparing for the two school exams he has two take before the summer vacation.